La Aroma de Cuba was a turn-of-the-century Cuban brand made famous in part by Winston Churchill who often described it as one of his favorites. And who wants to argue with Sir Winston? Its fabulous appearance is characterized from its oily and deep dark wrapper made from proprietary Cuban seed Honduran grown tobacco. It is quite elegant to view. 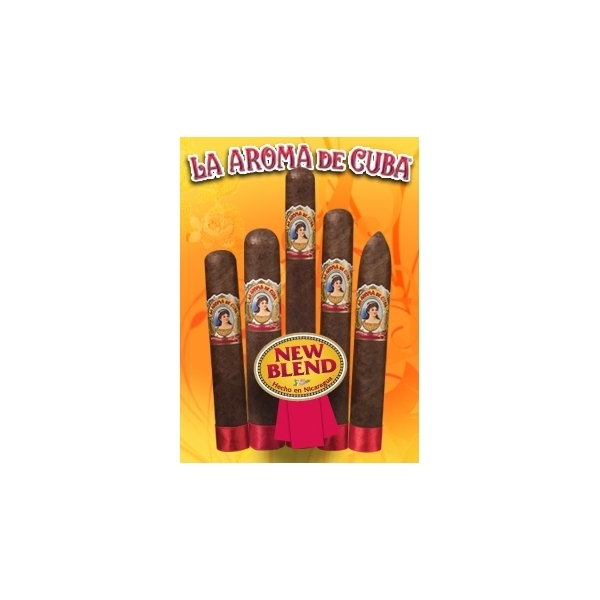 It's also wonderful to smoke with an enticing aroma and extraordinary full flavor created from its careful blending of Cuban seed Honduran and Nicaraguan tobaccos. It draws easily and offers a big, enchanting flavor delivered smoothly with lots of finesse. 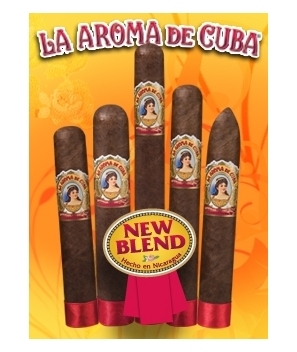 Created by Tabacalera Fuente for Ashton Cigars, La Aroma de Cuba is sure to be hit with those who enjoy the qualities of a well-rounded, medium bodied cigar.